Colin’s comfort food is burger so when I tasted the best burger ever at Burger Lab I HAD to take him there. Except that he will never queue for anything. 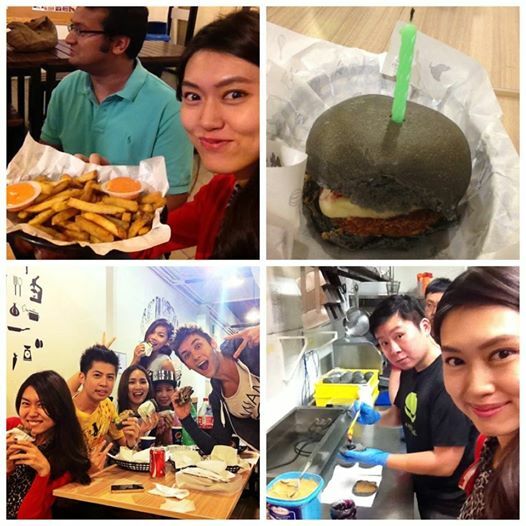 Ren Yi kindly invited us for a private party at myBurgerLab It was exactly the kind of party I like: amazing food, getting to know interesting people, good conversations, cooking and chatting in kitchen and a even lil’ surprise birthday burger-cake for Jane!